LIFEBOOK 2018 TEACHER LINE UP + GIVEAWAY! I had the pleasure of contributing an online course to Life Book a couple of years ago, and I’m so happy to be back for another year! If you haven’t already heard about Life Book, it’s a year-long, online, art class featuring 23 incredible art teachers who share their mixed media techniques with you throughout the year. This year, Life Book will also feature 12 wellness guides offering additional practices like yoga, aromatherapy, and dance. Throughout the year, students will create several loose mixed media art journal pages per month. At the end of the course, you’ll learn how to bind them together to create one beautiful journal – your very own Life Book. 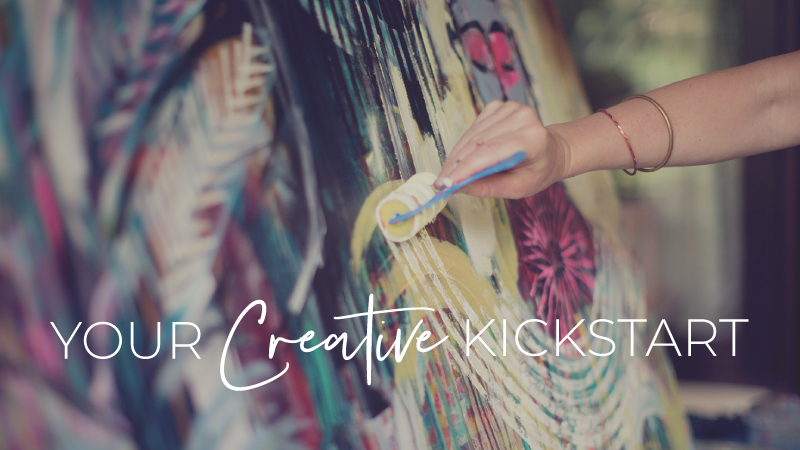 If you’re looking to broaden your mixed-media skills, learn from an amazing group of teachers, be a part of a global creative community, and have a really meaningful keepsake at the end, check out Life Book 2018. I’ll be teaching a brand new course called, “Weaving Stories” inspired by my recent explorations into adding photos, letters, and family ephemera into my large-scale acrylic paintings. I’m excited to share some of my mixed-media breakthroughs with you! Registration for Life Book 2018 opens on September 12th 2017, and the class begins on January 1st 2018. Share this Giveaway through one of your social media pages. Leave a comment below to let me know you’ve entered. Voila. You’re entered to win. And the winner is…… Lori Carleton! Here’s the list of the teachers who will be teaching on Life Book 2018. Each teacher will be giving away a spot on Life Book, so there are lots of chances to win!